You probably don’t want to be one. If you’ve ever played a Fortnite: Battle Royale match where an opposing player was building complex structures like crazy, rushing you with weird and fast combinations of double ramps, pyramids, and wall edits, or just trapping you inside a cube with four damage traps, you’ve run into a sweat. 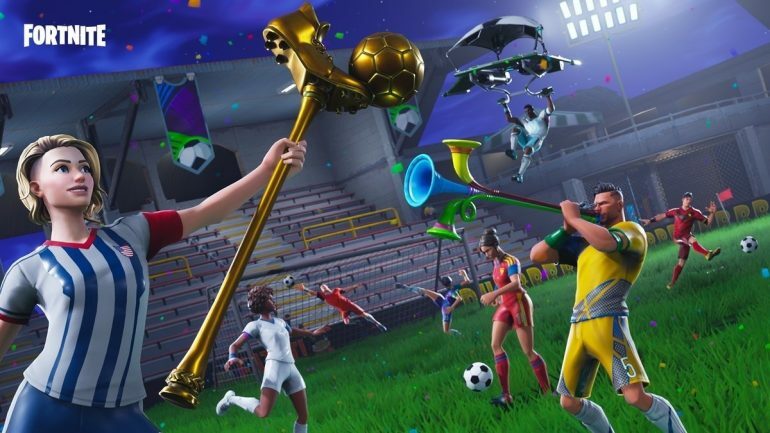 The term “sweat” has been used at large by Fortnite streamers to talk about players who use complex and difficult strategies to take down opposing players even when they wouldn’t need to. They are players who try too hard to show off their skills in fights even against casual and noob players who can barely build a one-by-one structure quickly enough. They don’t care, as long as the message that they’re very good and mechanically skilled gets across. “Sweat” literally means that after a fight, the player was surely trying so hard to make a flashy play that they’re sweating. Being a sweat doesn’t mean that a player is good, though. It’s true that they’re usually above average, but there are players who can disrupt their enemies in build fights with perfection but fail when it’s time to aim and take an effective shot. They might only dominate one of the game’s essential mechanics, but they can also be bad at all others, which can make them unable to get high up in the ranks of Fortnite and become well-known professional players. That’s why you’ll rarely see a Fortnite streamer calling a fellow professional player a sweat, mainly because fights between amazing players require both of them to use all the game knowledge they know. It’s a necessity, not an exhibition of game skill for the sake of it. Even big players like Tyler “Ninja” Blevins and Turner “Tfue” Tenney, who are skilled enough to do nearly anything you can imagine in the game, reach the point of being sweats in their livestreams. They do what they need to eliminate an opposing player according to the case and situation. If you’re able to pull off incredible build-edit combos to kill opponents, do so, but remember this may not always be worth it. If you spend more material than you would need in a fight because you were building huge ramps and cubes, for instance, you might be out of materials to find a third party that can arrive shortly after to kill you. With no materials, you’re easy prey. If you’re playing Fortnite for fun and you like this try-hard playstyle, do it. Just remember that, like the sign in front of a Tilted Towers building reads, you have no sweat insurance.